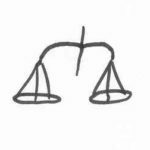 Law #3 is all about balance, and that’s much less obvious than the last two laws. Basically, within a family system there has to be a balance between giving and taking. Once again, I’m going to use the mobile analogy: If one or two family members constantly take, they get heavier and heavier. And in very bad cases, they can tear that mobile apart. Now we all know people who love to give and give and give and have a hard time actually receiving anything. We like to look at those as if they were heroes. Our society thinks they are generous and loving. They are not. They are distorting the balance by not allowing others to give back. I had a very nice couple as friends when I was studying at university. But money was tight, and so they came to an agreement: He would work to earn the money they needed to live on and put her through university, and once she got her degree and a good job, he’d get to study and she would support him in turn. That’s a pretty good deal, isn’t it? Well, the moment she got her degree, she left him and moved to another town to marry someone else. Boo. Foul play. She broke the deal. Yes and no. You see, it took her years to finish her studies. Years that he worked and earned the money for both them. Years where he gave and she took. And that upset the balance so much that she couldn’t stay. There was no way she could repay him, not just for the money but for all those years he had sacrificed for her. The string had been stretched too far. The relationship had become impossible to maintain. What they should have done is either alternate in their studies, or she should have taken jobs in the summer breaks to help. That would have brought back some balance. But they didn’t. They had no idea they were breaking a family system law. And to top it off, as far as I heard, she never used her degree… paying for the debt she incurred. The above is just one example in an individual partnership. But the law of balance can also stretch across generations, making members struggle to repay the moral debt an ancestor incurred. It is a bit like karma in the way it works, except that it works across the entire system, and can call on innocent members to pay back a debt they had nothing to do with. And that’s the scary part – we may never find out what happened to incur that debt. We can only watch for symptoms and strive for balance. If you find that you’re a “giver” and gain much satisfaction from being so selfless… well, take a closer look at what’s going on. And work on receiving. And if you find that you’re a “taker”, well… practice giving for a change. You might find it interesting. There is one single exception of this rule, one debt that can never be repaid: The gift of life. We can never repay that gift to our parents. But we can pay it forward, either by having children ourselves, or by “giving birth” to something we’re very passionate about. For me, my client work and my books represent that kind of paying it forward, of giving back in a roundabout way. All in all, balance is the most overlooked aspect in family systems – because the other laws are so clear and this area can be very murky. Which means we can just do our best, practice giving and receiving, and if in doubt, give a little more than we think is due. This creates a positive circle but no blatant tilt of balance. Give just a little more than you receive and create a positive spiral. Of course, no blog post of mine would be complete without some tapping. With this law, awareness is key, and so I’ll suggest tapping for that. Even though I had no idea that the balance of giving and receiving is so important in family systems, I’m totally okay the way I am, and I now choose to become very aware of this aspect. Even though I always believed that giving was better than taking, I’m totally okay the way I am, and I now choose to look carefully and strive for balance. Even though it’s a surprise to see how important this balance is for a family system and for every one of us to function, when all the focus has been on giving, I’m totally okay the way I am, and I now choose to practice receiving along with my giving. What do you believe about giving and receiving? Is one better than the other? How did it feel to look for balance? This entry was posted in General and tagged balance, divorce, family, family rules, family system, separation. Bookmark the permalink.